Best News Ever: Vegans Can Eat Chocolate! Since I saw “Simply Raw,” I’ve been searching for some recommendations and I think I’ve found them! I can’t wait to try each of the chocolates listed! There is a very dangerous misconception about veganism out there that I must clear up immediately. A new, super fun friend and I were talking in a group the other day. She went vegan recently (what a good choice she’s making for her health, animals, and the Earth! ), and she was saying she was enjoying it but was a little worried about what she might do when it’s “that time of the month” without chocolate. I realized she hadn’t found out yet that vegans can eat chocolate. And I realized that this is widely thought. The horror! The horror! I felt awful that anyone would ever think, even for a minute, that they’d have to live without chocolate! Y’all know I love to give you the scoop on the incredible foods nature has to offer us, and I’ll continue to do so, but I think I’ll start finding other sources of evidence besides articles on the web. Over the weekend, I went to a screening of a documentary called “Simply Raw: Reversing Diabetes in 30 Days,” and to say was good is the understatement of the millennium! 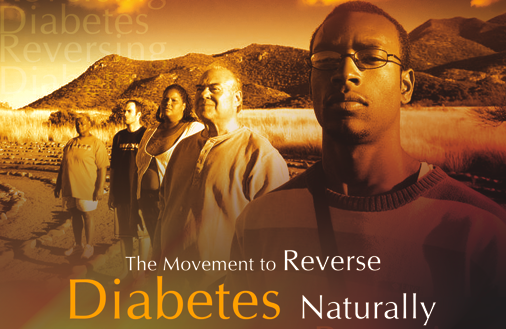 For the film, they found 5 subjects with Type 2 diabetes and 1 subject with Type 1. All of the subjects met with a Dr. Cousens who introduced them to the raw food lifestyle and had them eat only raw for 30 days. As I’m sure you know, it wasn’t an easy thing to do because of all the sugar we Americans have in our diets: the average American consumes approximately 150 pounds of sugar per year! One man’s story really made me want to break down in tears. Kirt was a 26-year-old African American man from Baltimore, Maryland. He shared a story about how one time he went to the emergency room and the doctors told him his blood sugar level was at 1200; the normal range for blood sugar is between 80-100!! Kirt impressed me further when he adhered the most to the diet – he gave those 30 days 110% because he knew that that was what was required if he truly wanted to cure his diabetes. On day one of the program, his blood sugar was about 346 and he was taking 4 to 6 insulin shots a day. By day 30, not only was he able to STOP his insulin, his blood sugar was down to 73! At the end of the movie, Kirt went to his doctor to get the results of some blood work and he was surprised to find that his doctor had reread his file and was going to rediagnose him as a type 1 diabetic and had plans to give him an insulin pump! I’m sure you all know that people with type 1 diabetes produce very little or no insulin – but after a strict 30-day diet of raw foods, his body was totally healed and started making its own insulin! A few weeks ago I wrote about how Greek yogurt is a fantastic substitute for other cooking fats like oils, lard, and so on. 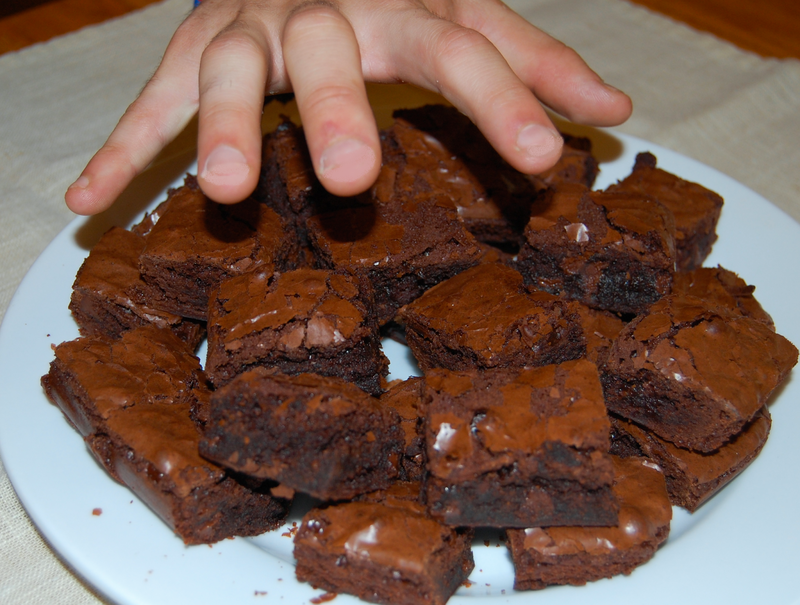 I’ve been a chocoholic for as long as I can remember and I haven’t had brownies in a very long time because of the oil content. I decided to test how well Greek yogurt and I think I may have opened a portal to heaven! Let the brownies cool for about 15 minutes, and enjoy!